Fido has a pretty good new deal for Boxing Week! Get a Google Nexus 5, Samsung Galaxy S4 or Nokia Lumia 830 for $0 (FREE) when you sign up for one of their 2 year Smart Plans. Smart Plans range in price from $40 to $75 per month.This Fido Boxing day promo is valid from now and until January 5th, 2014. 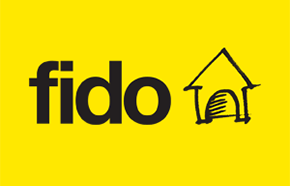 If you signed up for Fido’s sizzling hot pay as you go $56 plan a couple of years ago you can call Fido and try and making use of this promo by getting into a 2 year contract while keeping your $56 plan. I can’t guarantee they will always agree to this but it has worked for me in the past. In essence I got a phone for free since I knew I wasn’t going to be changing that awesome $56 plan anytime soon. You can pick up the free phone and sell it, making a good chunk of change. If you don’t currently have a Fido plan you can wait till retailers come out with hot Boxing Day promos and combine it with the Fido free phone plan to land a hot deal.